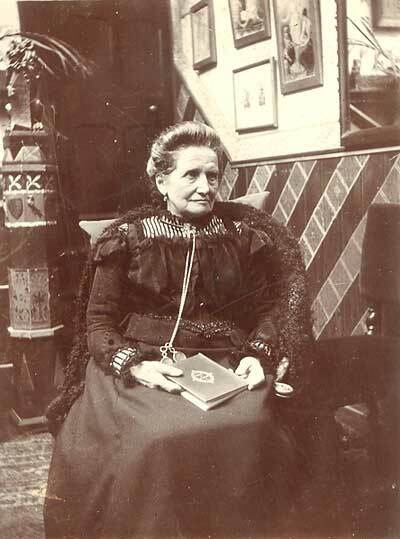 Known affectionately in the family as "The Great Woman", Jane Knill, the third wife of Augustus Welby Pugin, truly merited that title. 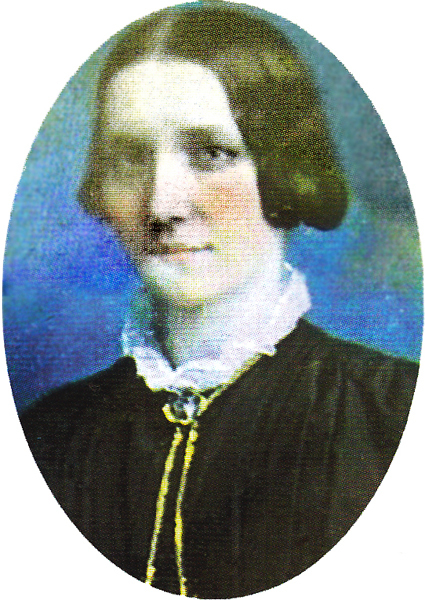 Jane was the youngest of Thomas and Elizabeth Knill's nine children, with Thomas himself being the second child of eleven. Of her many relatives, Thomas's younger brother John was the most influential in her life. He came to London in 1796 aged 16 and became very wealthy as a wharfinger. After Thomas died in 1833, he took Jane and her sister Mary, aged 8 and eleven, into his household. His son Stuart, who became a close friend of Jane, was elected Lord Mayor of London in 1892. The Knills were a well-established family in Herefordshire. Knill Court, near Kington in the northwest of that county, was the mediaeval seat of the family, with a pedigree that has its recorded beginning in the reign of King John (1199-1209). The line followed by Jane was a branch of the family that had established itself in Tedstone de la Mere, some 30 miles to the east. Jane's father was a tenant farmer of the 185 acre Tipton Hill farm in Tedstone, as was his father and earlier ancestors. Jane, brought up as a farmer’s daughter in a remote part of Herefordshire, could have had no inkling what fame and fortune had in store for her. 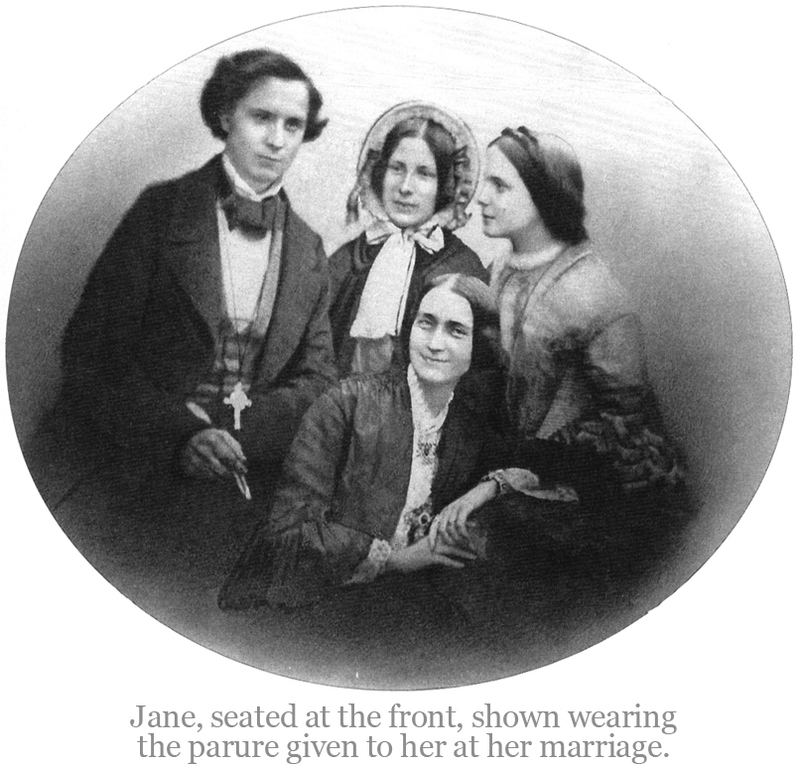 Jane and her uncle John were both brought up in the Church of England but when John became a Roman Catholic in 1842, it must be presumed that she also, at the age of 17, together with the rest of John’s family, became a convert. John’s daughter, Margaret, was the same age as Jane and it seems likely that it was John who arranged for both girls to be sent to the Sacre Coeur Convent School in Paris to complete their education. Thus it was that when she first met Pugin in 1848, Jane was well versed in Catholic affairs and practices. Clearly smitten by Jane, an attractive young woman of great charm, Pugin almost immediately proposed to her and they were married on the 10th of August 1848. Jane faced a daunting task. There were six young children from her husband’s previous marriages to look after: Anne 16, Edward 14, Agnes 11, Cuthbert 6, Catherine 5 and Mary 3. 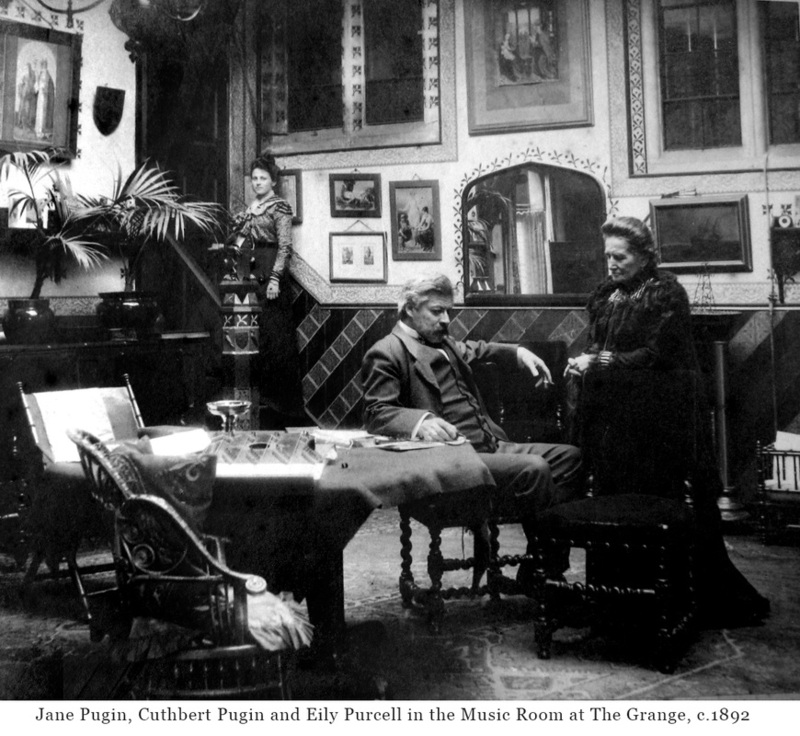 Living in The Grange, Pugin’s newly-built home in Ramsgate with Pugin himself so often away on business, she also had to manage the household and contend with four servants. 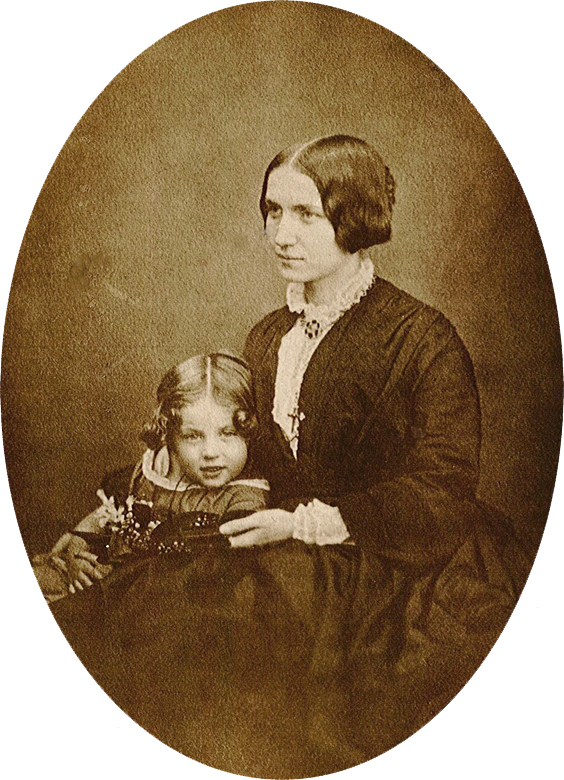 In addition, she soon fell pregnant and by 1851, had two children of her own: Margaret and Edmund (known as Peter Paul). No wonder that she was so often unwell and under great strain. All her problems were enormously compounded when Pugin died in 1852, having been confined to mental institutions and leaving no legal will. 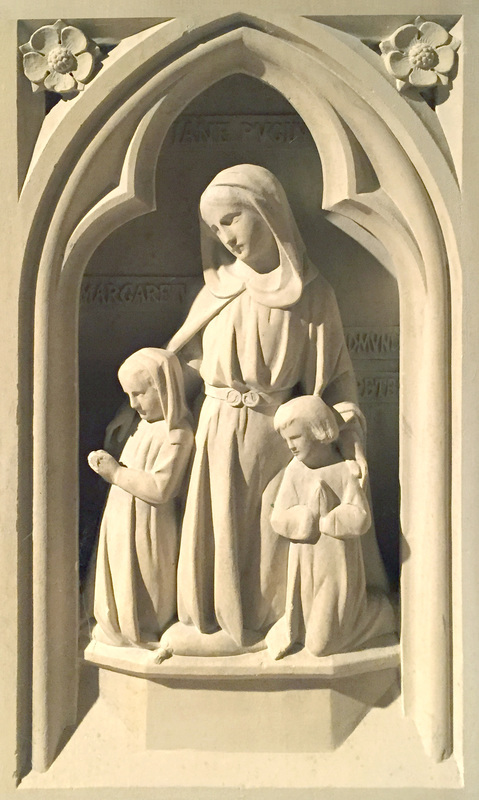 Jane was faced with selling all Pugin’s prized possessions, generally at a great loss, and having to decide where she and the children should live. Pressurised in different ways by Pugin’s friends and colleagues, she elected to move to Birmingham, where her step-son Edward, now 18 years of age, had established himself with John Hardman, who had worked closely with Pugin, realising his designs. His nephew, John Hardman Powell, who had married Jane’s step-daughter Anne in 1850, also lived in the city. 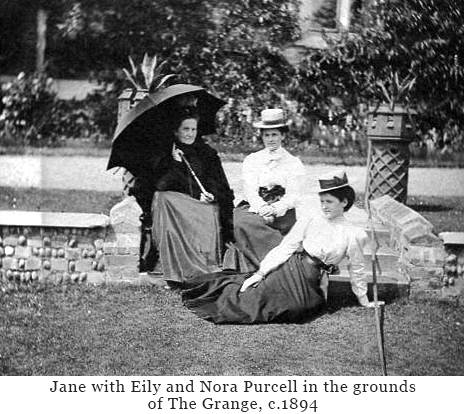 Jane let The Grange and this brought in some income to which her Civil List pension of £100 per year, together with Edward’s income as an architect of increasing distinction, enabled the family to meet its financial needs. Jane’s relationships with her step-children, although later very friendly, started off badly with Agnes. To cope with all the pressures on Jane, whilst the other children were taught at home, Agnes was sent to a Convent Boarding School in Caverswall, Staffordshire. After the Benedictine Community there moved to Oulton in 1853, Agnes was joined by Catherine and Mary. When John Knill died in 1854, he left Jane a bequest of £500 which may have prompted her decision, two years later, to move to London where Edward could more effectively practise his profession. In November, the family travelled down south and settled in 5 Gordon Square with Edward working out of chambers in 14 Buckingham Street. The children slowly became of marriageable age and left the nest. 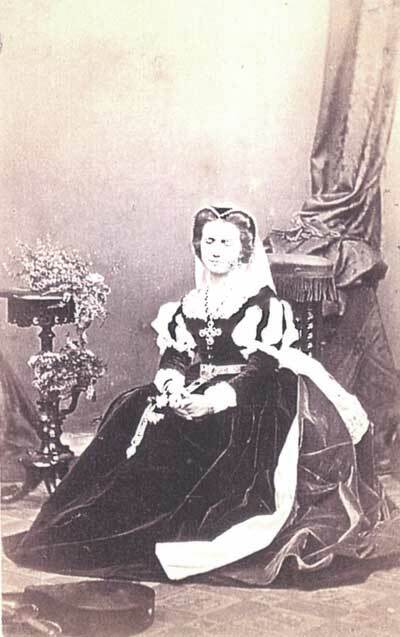 After Anne’s wedding in 1850, Agnes married in 1863 with Mary following in 1867 and four years later Catherine in 1871. The year previously saw Jane’s own daughter Margaret married to Henry Purcell providing Jane with four grandchildren: Mary Kathleen, Charles Henry, Margaret Eily and Nora Jane. All the girls held their weddings in St Augustine’s Church, next-door to The Grange, and the ceremonies and receptions must have been an expensive outlay for Jane. It was much later in 1886 that Jane’s son Peter Paul, married Agnes Bird, giving Jane five more grandchildren: Florence, Hubert, Edmund, Margaret and Augustus. Henry Purcell was a barrister-at-law from Ireland whose work in 1877 had taken him to Bombay. Very sadly, whilst on a tiger shooting expedition, he was taken ill and died leaving Margaret a widow. In 1878, Margaret married again, George Francis Thunder, and by him had two further children: James and Michael. 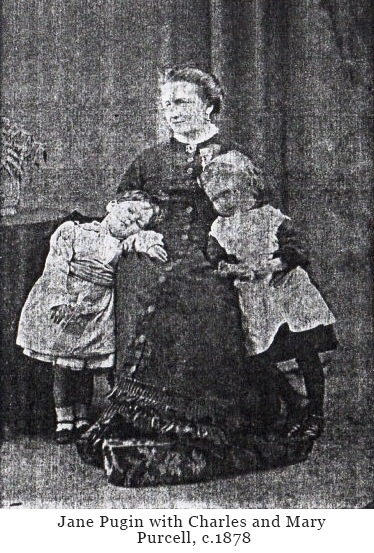 It was during (or as a result of) childbirth of her seventh child in 1884 that she herself died, leaving her six infant children to be cared for. She and George had taken up residence in Ramsgate, employing a nurse, Louise Meisterzheim, and after Margaret’s death, Louise continued to look after them in Ramsgate. Six years later George and Louise married in London and both left for Bombay leaving James and Michael in a boarding school in Bath and the four Purcell children with Jane at the Grange. To begin with, whilst Margaret was still alive, the Purcell children had attended a small elementary school in Ramsgate. However, with the opening of the Convent of the Assumption in Ramsgate in 1878, it was clear that the girls would transfer there when they become old enough. Similarly, St Augustine’s School just opposite The Grange, which opened in 1865, made it easy for Charles Henry to take his place there. Jane, now in her 66th year, therefore returned to The Grange. By 1903, all three Purcell girls had married and left. 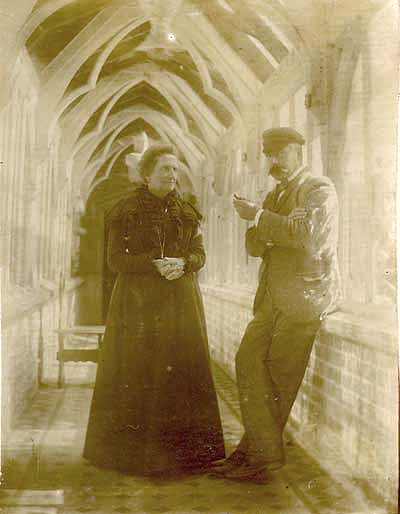 Charles Henry, like the other male members of his family, had trained to be an architect and he became a partner in the firm of Pugin and Pugin based in Liverpool. This left Jane and Cuthbert, who remained a bachelor all his life, as sole occupiers. To leave The Grange free for rental, they moved next-door to St Edward’s Presbytery. Yet another disaster, however, was to hit Jane in 1904 when a fire broke out in The Grange, which partially destroyed the building. 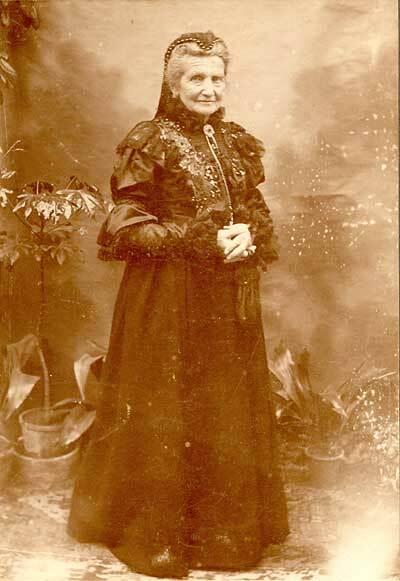 Indomitable to the last, Jane remained in St Edward’s until she died on February 15th 1909, in her 84th year. Described in her obituary as a devout Catholic always engaged in charitable work, she was known in the town as “The Grand Old Lady of Ramsgate”. As my father, who knew her personally, always used to say: “She truly was a ‘Great Woman’”.